Finding the right home loan is more than just jumping on a comparison site and finding the lowest interest rate. There is a whole lot more to consider when choosing your next home loan, and we make the process easy as we know the right questions to ask to ensure that you have thought about all of the options available. With many different features and benefits available with different loan types, it is critical that you assess your requirements for a new loan carefully to ensure you are getting one that will work well for your situation, not just now, but long into the future. Do you require an offset account? Do you require Redraw to any additional repayments you make? Do you want to fix the interest rate so you know what you are up for for a period of time? Do you require a split loan? Is interest only repayments a suitable option for you? Do you prefer no fees, a package fee that includes additional benefits, or a low monthly fee with limited additional benefits? It’s not just the features and benefits of the loans to consider, but also your personal situation / circumstances that dictate what type of loan or lender will be most suitable for you. Different income types, such as Casual, Part time, Seasonal, commission or bonus income or contract, will have different degree of acceptance at different lenders. You will even find certain lenders will not accept Government Benefits while others do. You may even have found your own bank has knocked you back due to your income type, however, this doesn’t mean all lenders will do the same thing. We can help cut through all of this confusion and make the process simple to ensure you only have to apply to the one lender that we know will be acceptable for your needs. Finding the right home loan is imperative to get the best results for your mortgage and can save you thousands of dollars off your interest and fees over the term of your loan. The following are some of the most popular types of home loans available from most lenders today. To learn more about the types of home loans click on each heading below, and if you want more information about what a mortgage really is, view our Mortgage Fact Sheet. Standard Variable Home loans are Australia’s most popular type of home loan and fast loan. The interest rate varies throughout the loan term generally synced with Reserve Bank of Australia movements. These loans generally offer excellent flexibility, low fees and often offer great features such as an offset facility, redraw facility, no limits on additional repayments and in most cases, no early pay-out penalties. Often have access to a 100% offset account. Basic variable Home loans typically offer lower interest rates and fewer features than the standard variable loans, and generally with lower or zero fees as well. You often have the option to pay for any additional feature required. Interest rates and repayments will vary throughout the loan term, and fluctuate with movements to the Reserve Bank Cash Rate. They are a great mortgage suited to clients that want a “no frills” mortgage product with fewer bells and whistles. Zero or very low fees. Many of these loans do not have the same features or flexibility as other variable loans (typically lack an offset account). Under a fixed rate home loan, the interest rate is fixed for a specified period, usually between one and five years. This loan gives you the certainty of knowing exactly what your monthly repayments will be and peace of mind knowing the repayments won’t rise during this fixed rate term. However, you won’t benefit if rates go down during the fixed term. They prove to be very popular in a low-interest rate environment, as they can often lock in the current low rates for an extended period of time. Reduced flexibility with repayments and redraw often unavailable. You may be stuck with a higher rate if the variable/cash rate reduces during your fixed term, and sometimes large early repayment penalties may apply. If you are building your own home or investment property, a construction loan may be suitable for you. This loan requires a fixed price building contract from a registered builder. These loans are usually interest only for the period of building and then become principal and interest once the building is completed. A construction loan allows you to draw money as is required whilst building. Also, with the usual necessary documents required when applying for a loan, construction loans also require a ‘fixed price building contract’ and ‘council approved plans’. A 100% offset loan gives you the ability to have savings offset against the principal of your loan. Rather than putting all your salary and other income into your loan, it goes into an offset account that is directly linked to your home loan. Any balance in the offset account is 100% ‘offset’ against your home loan. This reduces the amount of interest you have to repay, making your money work harder for you. Can save you a substantial amount of interest if used correctly. Operates like a normal transaction account and has a cheque-book, ATM card, etc. attached. Far less popular these days, Line of credit Home loans provides you with access to the equity in your home or investment properties up to a pre-approved limit. You access the funds as you need to. The interest rate on a line of credit loan is usually a variable rate and repayments are interest only. Rates are much lower than a personal loan or credit card. Very Flexible allowing for unlimited transactions and can be used as your main transaction account, thereby saving interest on all of your funds deposited. Typically an interest only loan and care needs to be taken to ensure that you reduce your overall debt over time, which can be mitigated my using alongside a P&I term loan. A low documentation (or no documentation) loan is suited to investors or self-employed borrowers who do not meet the ‘standard’ lending criteria. This may include; those with an impaired credit history, those who are unable to provide the required documentation in support of their loan application or those who wish to borrow more than 100% of the property value. 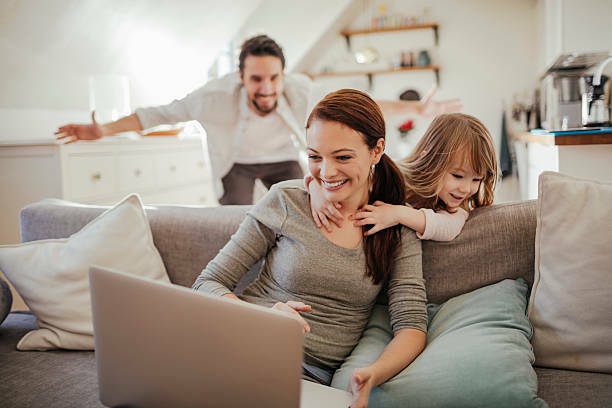 Allows significant amount of flexibility and great benefits from having salary credited directly to the loan and paying monthly living expenses with a credit card. For Debt consolidation, the single repayment will be much lower than the combined repayments of shorter term loans. Usually a higher interest rate than available on a traditional loan. Loan Wize in Sunshine Coast can provide you with a free assessment on the areas where you need financial assistance, all forms of home loans, from first home owners loan, mortgage refinancing, debt consolidation, property investors and other business or personal loans. The assessment will determine what loan or financing product suits your needs best as well as providing you with a desirable interest repayment. If you are looking to apply or know more about home loans then fill in your contact details in this contact form and our financial consultant will contact you for a financial assessment, or call us directly at 1300 LOAN WIZE / 07 5443 6522 for a chat.